Before you even go out to see patients on doms, the best document I would recommend reading is the BSDH Guidance. This covers every aspect of domiciliary dentistry. Other guidance you should read is the Special Care Dentistry Commissioning Guidance and the recent FGDP Dementia Friendly Dentistry. And your nurse! You have lots of equipment to carry and it can be easy to get into awkward positions when treating patients in their own home e.g. if they are bedbound. Make sure you have had appropriate manual handling training, have trolleys to help you transport equipment and be wary of your posture. Avoid hunching over seeing patients, move them if possible e.g. lifting their bed if they have a hospital bed, seeing them in high backed chairs and bend from the hip rather than stooping. Also be wary of environmental hazards such as pets, smoking and cables/clutter around the house. Risk assessments may be required either before going out to the visits, or while there to ensure staff safety. Fully utilising the dental workforce is essential in providing domiciliary dentistry: from all the paperwork and planning before the visit, to the doms visit itself, to continuing care. Making sure visits are fully prepared really helps the clinician out... this includes risk assessing, checking for parking, arranging patient appointments so they geographically make the most out of the time available, making sure medical histories and FP17s are up to date and contacting NOK if needed. Doms are also a fantastic opportunity for auxiliary dental staff to provide appropriate care e.g. use of hygiene therapists. This is something I have found challenging when providing domiciliary dentistry. A common situation is seeing an older patient with dementia in a care home who have lost their dentures where family members are pushing for you to remake the dentures for the patient. In some cases of course this is a suitable treatment option; however, if the patient has poor cooperation and is unlikely to tolerate making the denture let alone wearing and adapting to a new set, then is forcing them through a prolonged course of treatment may not the best option for them. Patients also expect that the treatment they receive on a domiciliary visit to be as good as in a dental chair - in most cases, the treatment you can provide at home will be limited due to access, equipment available, lack of the ability to take x rays and you need to communicate this to patients. Although patients who are housebound may find getting to dental clinics very difficult, in some cases it is unavoidable and you need to know where you can refer patients if needed e.g. if they need crown/bridgework, extractions, more specialist treatment. This may mean organising patient transport for the patient, or explaining on the referral the difficulty of the patient attending so that longer appointments could be made to minimise appointments they have to attend a clinic. Depending on what your service is like, combining stages may be something you should think about as waiting times for a home visit can be long - in my old service making new dentures would take around 4 months! This means you need to be sensible about how you stage your course of treatment. You may need to adapt for patients for example with dementia where cooperation may vary, but often I would try to combine secondary imps and bite stages and if a patient requires fillings or cleaning I would try to do this alongside any denture stages to minimise multiple visits and make the most out of the time I would go out to see the patients. When you first go out on doms, you need to be able to adjust what your normal time management would be in a clinic. While an impression may take you 15 minutes in the clinic, in someone's home you need to factor in time for driving to a person's house, finding parking, setting up in the person's house or trying to locate a patient in a care home, speaking to the patient's carers or relatives and then clearing down. 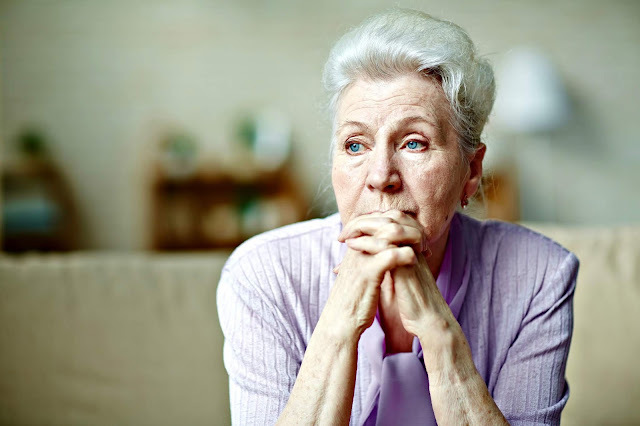 When you see patients in care homes depending on the home, actually getting around to see the patient may take a while as you need to find the patient, if it is a time where the carers are feeding or washing the patient this can delay you or if you need to find out additional information from a patient's file. Always allow yourself enough time at the end of the day to write up notes and chase up information for patients e.g. contacting their NOK or doctor. As I've mentioned above, having someone who helps get all the paperwork prepared before the doms visit can make your life so much easier! If medical histories or FP17s are not completed before you visit the patient this can take up most of an appointment slot finding out the information which the patient may not even know themselves or be able to communicate. Some services will only book patients in for a doms visit once all the paperwork has been completed. Something I have found out doing doms visit is that the general public and care home staff are confused about NHS exemptions and assume everyone in a care home is exempt from dental charges. If they are confused about it, how can we expect our vulnerable older patients to reliably tell us if they are exempt or not! Supporting care staff with paperwork and exemption statuses can really help clarify what people are entitled to and I tend to leave HC1 forms and information with care homes so they can give to NOK to fill out when new patients are referred for dom visits. As I've already mentioned, you have a lot of equipment you may need to take out with you on doms; but you don't want to take what is not necessary. Always communicate with your nurse what patients you have that day for what treatments so they can prepare the appropriate treatment so that firstly you don't have to take unnecessary equipment and secondly you have the appropriate equipment for what treatment you are providing as you do not want to get to the patient's home and not have enough alginate for example! Really important in any setting in dentistry, but with domiciliary dentistry often many of your patients may not have the capacity to consent for treatment. Always carefully assess patients, as capacity may vary or you may need to adapt your communication. You may need to consult with another clinician if you wish for a second opinion but do not be forced into anything that you are not comfortable doing. Refer to my previous post about the Mental Capacity Act to learn more about capacity assessments. Ultimately, I really enjoy domiciliary dentistry: getting out of clinic is really enjoyable and actually seeing inside care homes can really increase your understanding of that environment and what challenges the staff there have when looking after older complex patients. And domiciliary dentistry forced me to learn how to drive... learning life skills as well as dentistry! Do you provide domiciliary dentistry? What tips would you give? Let me know in the comments below.